Seeing is Believing | sondai living: Spirit. Art. Style. I wear glasses, as do many. I think it has to do with not eating the necessary dosage of carrots as a kid. Like many of those that wear glasses I feel that if I have to wear them they might as well look good. After all glasses wearers are fun and fashionable too. However, I learned early on that wearing glasses could sometimes eat up that extra spending money you worked so hard to save. 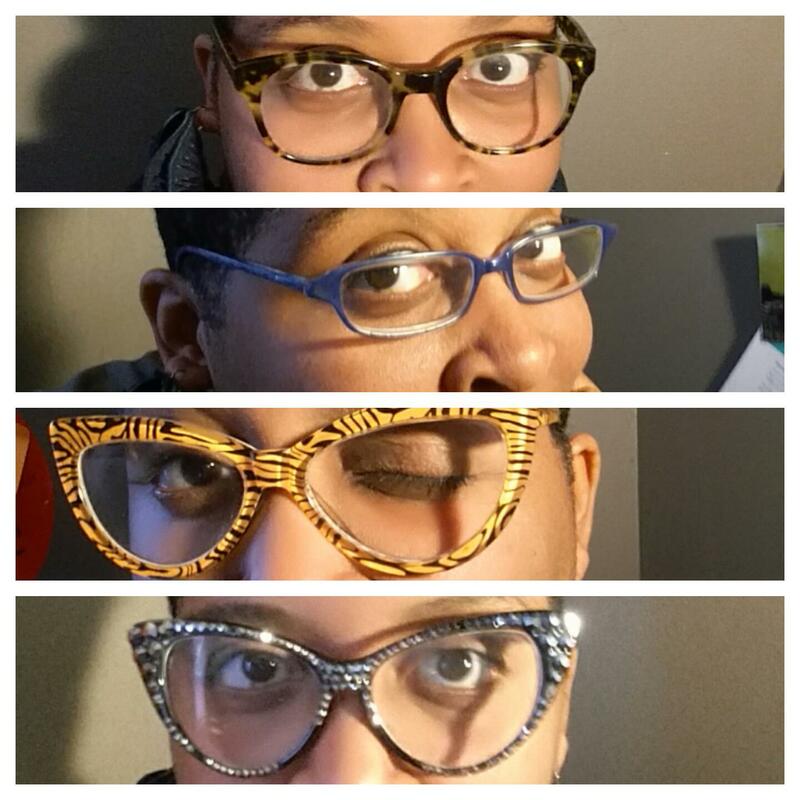 So over the years I have been on a search to find glasses that fit my budget, because personally I would love to have a pair of glasses that match every outfit I own. That is just the fashionista in me and of course I am my mother’s child. There are many places for funky, fresh, exciting and visually dramatic eye baubles. I am actually looking to update my look. I receive a lot of compliments on my glasses. I appreciate them all! I realize that folks have to look at me if I am in their atmosphere so I figure I should be pleasing to the eye. I hope that doesn’t come off weird… if you get it you got though. Now I can’t tell all the secrets, to be unique is to have an arsenal of tricks up your sleeve. Alas. I consider myself a great helper if I do say so myself. So with that said check out this link and find yourself some funky fresh eye candy. This entry was posted in Health and Wellness and tagged eyes, Glasses, Sight, Zenni Optical by kimberly c. gaines. Bookmark the permalink.